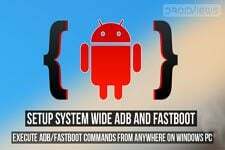 If you are an Android user and want to root your device then you may have heard of the ADB and Fastboot. These two tools allow you to send terminal commands from your Computer to your Android device using USB. 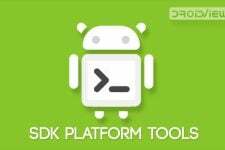 Android Debugging Bridge, or ADB as we call it, and Fastboot are tools that allows you to send terminal commands to your Android device when its turned on and booted or even when its in recovery. Commands to reboot into recovery, unlock bootloader etc are a few of the many commands that can be sent to your device. You can also flash firmware onto your Android devices using commands like a recovery would do. If you own a Mac and want to setup ADB and Fastboot easily this guide would let you do so. Unlike Windows, installing ADB and Fastboot on Mac does not require any additional drivers to be installed. All you need is a Mac, USB cable and a couple of files on your Computer. Download the files from the Downloads section which is an android.zip file which contains ADB and fastboot files and place it on your Desktop. Extract or unzip the android file by double-clicking it and you will get a folder named “android” which contains 2 files ADB and fastboot on your Desktop. Open a new Terminal window on your Mac. You can search for it from Spotlight with ⌘-Space or find it in your Applications > Utilities folder. Now ADB and Fastboot are successfully installed on your Mac. You can open Terminal anytime and enter ADB or Fastboot commands.